Before the “So jealous” campaign, MD was an underdog in the shoe industry, with unfavorable perceptions and low brand awareness. They took on the big players through an advertising campaign that dared to go where no other shoe retailer had gone before. “So jealous” exposed female rivalry and fashionistas’ competitive nature when it comes to shoes. Catching a glimpse of beautiful shoes on another girls’ feet made women so jealous that it drove them to carry out their fantasy revenge. We shined a light on an insight that other brands hadn’t dared to take on, but one that fashion-loving women identified with. The campaign positioned MD as the brand that best understands women. It exceeded all goals, one of which was to increase sales by 30%; a few months after the launch, sales were up 45%. A second objective was to position MD as one of Brand Tracker’s Top of Mind, 10 most recognized brands in El Salvador. Four months after the launch, MD was the third most recognized brand in the country; three months later, MD reached the first place on that list, surpassing Coca-Cola. 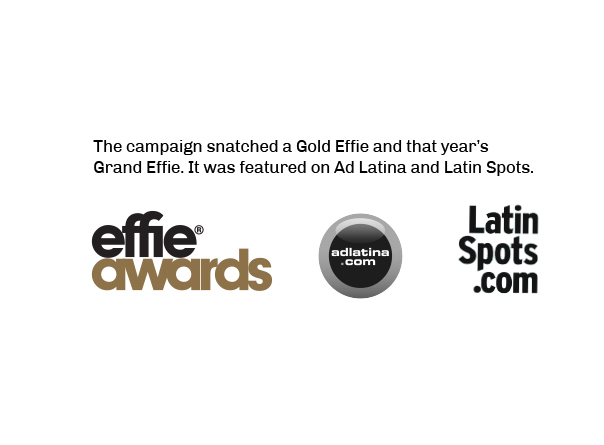 The campaign snatched a Gold Effie and that year’s Grand Effie. It was featured on Ad Latina and Latin Spots. Female rivalry gets ugly when it comes to shoes.